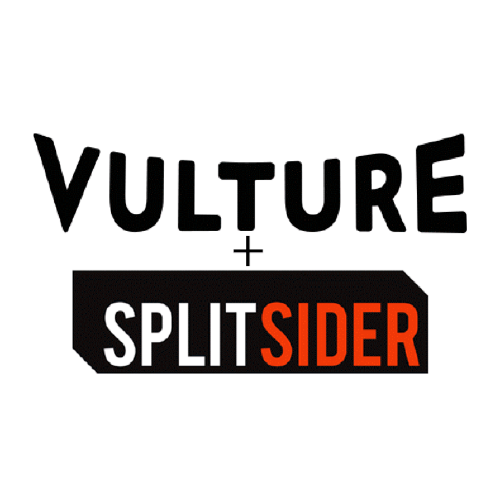 So far we've been psyched to get shout outs from Splitsider, The Daily Dot, Tubefilter, Decider, Moviemaker Magazine, and Broadway World. 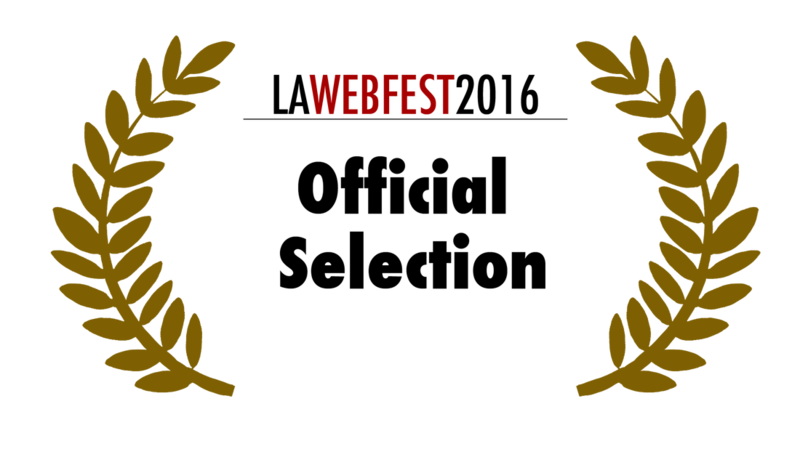 We've also been named official selections of the 2015 Miami Web Fest, the 2015 LA Comedy Fest, and the 2016 LA Webfest! "chemistry is top-notch tv grade"
"it's just this kind of unbridled oddity that will allow herrald to continue creating unabashedly original, quality work"
THE DAILY DOT LOVES US. "Business-speak and those who sup the corporate Kool-Aid are intolerable. But they exist in the corners and cubicles of offices worldwide, and their antics are finally seeing appropriately comedic treatment in new webseries Business Time." "....whereas [Tim and Eric] is a cavalcade of nonsense impossibly held together by some sort of divine, intangible genius, Business Time is well-rooted in reality, underpinned by characterizations that (although amplified to the nth degree) are grounded in reality. And it’s this realness that appeals." DECider.com gives "Business time" love! 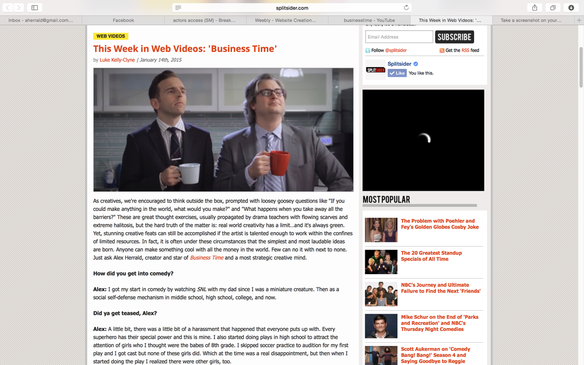 "the only workplace comedy you'll ever need"
"Business Time" was featured in MovieMaker Magazine's article on the finances of web series creation!